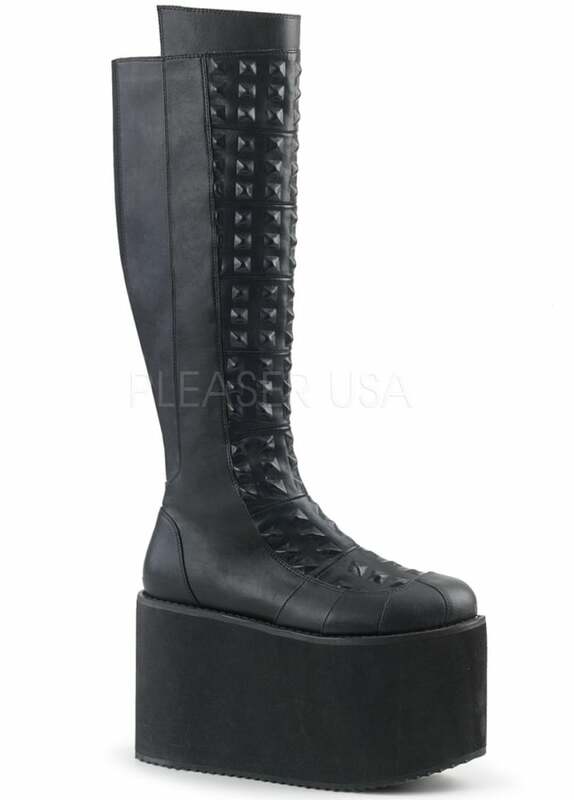 Demonia's Rot 13 Boot is a mega high platform boot. These alternative boots are vegan leather and has an inside zip and elasticated back. The front has embossed pyramid studs.